The first rule of Photography is that there are no rules in photography! Sure there are a few guidelines that can be helpful, but nothing is set in stone. When you're looking through that camera lens, you are seeing exactly what YOU want to see. When you snap a picture, it is because what is in front of you is being presented in a way that YOU want it seen. There is no right or wrong here. Studying other photographs for ideas on composition is great, but at the end of the day, you want your photos to represent you. So take a step back, turn at an odd angle, whatever makes the end product look right to you. The most important lesson here is that you enjoy yourself and that you are taking pictures you can be proud of. When taking a photo, nothing is absolute. There are options and decisions that can change the look and perspective of a picture depending on your intentions. For example, you can chose to make the subject appear to stand still, while the background shows blurry motion. This can be done by using a slow shutter speed combined with a low aperture setting. If you pan your camera along with the subject, you will get an action shot with a steady subject and a background that shows movement and life. The plain and simple fact is that this is not true. The ability to see a broad range of light and color is something the human eye can do with ease, but may not be translatable to your camera. Your camera may capture the image that you intended, but the actual color of your subject can vary greatly. A bouquet of bright red flowers can appear dull and dark when photographed under fluorescent lighting. This is because fluorescent lights have a green tint to them and thus change the appearance of the subject in the picture though the colors may appear quite differently in real life. Digital SLR cameras are well known for two things: Being expensive and having way more features than the average novice photographer is accustomed to. Although these added features can certainly help you to get a great shot, the real recipe for a great photo lies in your creative decisions. Using your imagination and thinking creatively will allow you to show your own perspective and take a photo that truly reflects you and your eye, expensive camera or not. There is beauty to be found in everything. Sure, it is easy to look at a beautiful sunset or a gorgeous spring bloom and snap a picture of it, but some of my favorite awe-inspiring photos have been of objects that one would not classically describe as beautiful. The badge of a good photographer is someone who can take something ordinary and through a creative eye, turn it into something extraordinary to see. As an Orange County photographer I get asked a lot of questions. Among the most frequently asked questions however one stands out above all others. "Is there anything I need to do to prepare for my photo session"? In truth there many things you can do to prepare for a photo session but there are also a number of things you don't want to do, things that can result in photographs that you're disappointed with. 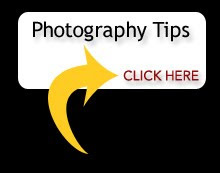 The following is a list of do's and dont's when preparing for an Orange County photography session. Hair - It's best to avoid experimenting with new hairstyles prior to your photography session. Even if the idea you have is a good one changes don't always turn out as expected and you don't want to be stuck with that hairstyle during your session. In contrast utilizing hair spray on a familiar hairstyle can help control loose, stray, and frizzy hair which when left unattended can ruin any photograph. Try to give your hair the same attention you would if you were going for a job interview. Tans - Many people feel as though a few days in the sun just prior to their photography session with me will help them look better in photographs. In reality however redness from the sun shows up in all photographs so it's wise to stay out of the sun in the days leading up to a photo session. If you have recently been sunburned and are pealing you'll want to keep in mind that correcting that in post production is extremely difficult. Those who spend time in the sun prior to a photography session need to be conscious of what type of tops they wear. Although a healthy tan looks great in a photograph, shirts with straps leave marks and show up in sharp contrast in photographs. Additionally tan lines can be corrected but that process can be time-consuming and costly. Skin - A lot of individuals worry about small skin blemishes like a pimple, scar or recent abrasion but none of these are reason enough to cancel an appointment as these types of things are fairly easy to retouch. Women concerned with skin blemishes should consider using concealer and powder together as that combination works wonders when it comes to covering blemishes. For those individuals with oily complexion the use of powder should be under heavy consideration as it makes photographs turn out much better. Glasses - Individuals who wear glasses should keep in mind that glare reflecting off the glasses can ruin even the greatest of photographs and in some cases can result in a distorted eye shape. Whenever possible individuals who wear eyeglasses should consider wearing an empty pair of frames to be photographed in. This will allow them to look like themselves but avoid the consequences of wearing eyeglasses in a photography session. Braces - People whom have concerns about their braces showing in a photograph needn't worry as they can actually be removed using modern technology. This technology allows people with braces whom might otherwise be afraid to smile, smile proudly without any worry. Orange County Photography – What Am I Paying For? There are a number of people out there who believe photography his nothing more than pointing a camera and pressing a button. There is however quite a bit more to the process and the amount of work, training, and time that go into becoming a professional Orange County photographer makes it easy to understand why Orange County photographers charge what they charge. The following things will help to illustrate exactly why Orange County photographers charge what they do. As professional photographers are either in business for themselves or work for a photography company the goal is to turn a profit. Professional Orange County photographers have to constantly buy professional grade equipment in order to provide customers with the quality that they've come to expect. Orange County photographers must continue their education and learn as much they can about the business if they wish to remain relevant and effective in business. Orange County photographers, at least those worth their salt, don't simply snap pictures. 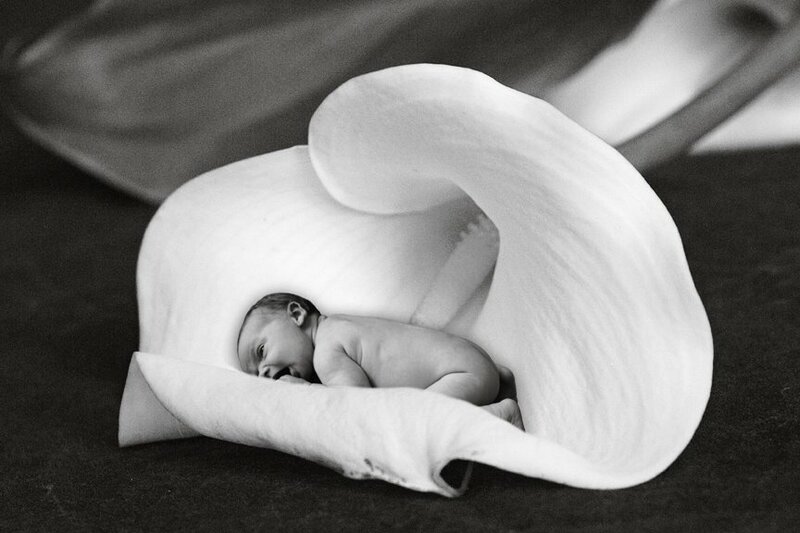 Instead they create photographs which capture emotion and atmosphere which in turn become keepsakes for their customers. 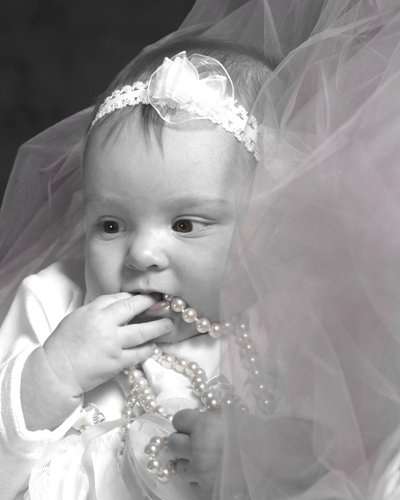 Professional photographers spent considerable time working with a single customer and must go to great lengths to ensure quality and satisfaction. A professional Orange County photographer must always be on the lookout for them latest and greatest photo technology available. As an Orange County photographer there are many events throughout the year that I look forward to. One of those events is Valentine's Day. Not only is it a nice day and a time to reflect on those whom you love but I normally do photo shoots during this time of year not just for individuals and couples but their four-legged children as well. This year my Valentines Day Orange County photography special will be held at the Pet Supply Warehouse in Rancho Santa Margarita and it will be a day to remember. The event will be held on January 29 which means you'll receive your pictures just in time to get them out for Valentine's gifts. If you're interested in having me photograph your pets for Valentine's Day you can book an appointment by calling Pet Supply Warehouse at 949-216-9081. 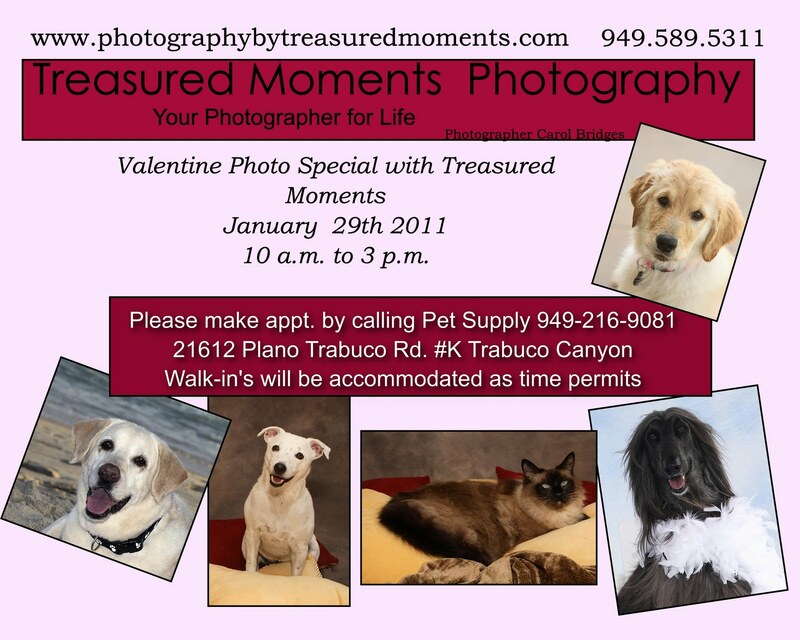 If you plan on attending this event and having pictures taken of your pets you'll want to schedule your appointment as soon as possible. These events normally fill up very quickly and although walk-ins will be accepted they will be accommodated only as time permits. Last month I had the opportunity to attend a holiday dinner at the golf and racquet club at Coto De Caza. While any meal from this club is generally a real treat this particular dinner was exceptionally special because there were pro golfers attending the dinner and I had the privilege of not only meeting them but photographing them as well. The pro golfers in attendance were Hunter Mahan, Paul Goydos, Patrick Burke, and Dennis Paulson all of whom were happy to allow an Orange County photographer to take their picture. Moreover all of them were pleasant and very friendly making the pictures even more exciting to take. Below are a few pictures taken at the event. Should you have any questions about this event or about my Orange County photography services please don't hesitate to contact me so that I might assist you. Always looking for ways to give back to the community in which I serve, I recently extended my hand to a family whose patriarch had just completed serving his country overseas this past December. It all began when I was contacted by Tonya who explained to me that her husband was coming home after a seven-month deployment to Camp Pendleton. She expressed that she wanted to utilize my Orange County photography services in order to have pictures taken for the homecoming. When she asked what this type of photography session would cost I let her know that it would cost nothing and that she should consider it my thank you gift for her husbands service to our country. Initially Tonya wasn't sure whether her husband would arrive on December 17 or December 18 but I told her that regardless of when he arrives that I would be there to take pictures of the homecoming. Tonya's husband actually arrived on December 17 and I arrived at the local Rotary at about 8:30 AM. While we waited we enjoyed some hot chocolate, munchies and watched the happy reunions of other soldiers returning home. Tonya's husband Tyler finally arrived at 10:30 AM and the Orange County photographs I took of this happy family reunion will not only provide Tonya and her family with printed memories but will remain in my mind for the rest of my life. The joy of watching loved ones reunite and taking pictures of those events is something I could do over and over again. Should you have any questions about this event or about any of my Orange County photography services please don't hesitate to contact me so that I may be a service.